First-class writing with second-class material. 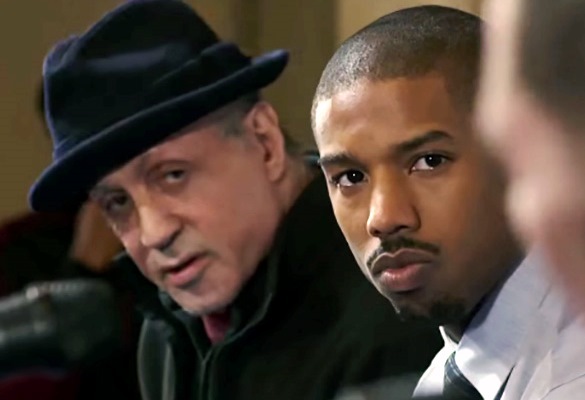 Creed finds another way to dig up the Rocky Balboa saga, this time by looking into the story of Adonis Creed (Michael B. Jordan), the illegitimate son of fictional legend Apollo Creed (who was killed in “Rocky IV”). Adonis chooses to throw away his privileged L.A. life to come to Philadelphia to be a boxer, and persuades Rocky (Sylvester Stallone) to be his trainer. A few plot points later, and Adonis is challenged to a title fight with the Light Heavyweight Champ named Ricky Conlan (Tony Bellew). You think about it, and it’s the same outline of the early Rocky movies, except now we have a protégé and Rocky as a mentor. It’s all déjà vu, we know where it’s going, but it gets by on its charisma. And it benefits with its own special rhythm thanks to the very streetwise director and co-writer Ryan Coogler (“Fruitvale Station”). Coogler has taken B-movie territory (a spin-off movie! How is that not second class?) and injects it with a surge of immediacy. He treats the formula with the kind of nostalgia that any Rocky fan can eat up, yet he injects the characters with angel and demon complexity – we’re convinced these guys are driven by very deep hurt and need to prove something. It certainly helps that his actors engage with this material as if it were Hamlet. In the starring role, Jordan is an intense and impassioned young actor, physically ripped and mentally focused. Stallone is so good that you are start to believe how underrated he’s been all these years. Rocky Balboa has been an indelible creation and remained alive in pop culture because of his loveable lug and disarming humbleness. Over the course of the last twenty years, Stallone has taken a lot of flak because of his cheap action iconography. But he’s a wonderful actor who makes sense of his icon character who is now in his seventies. Rocky trains the boy not because he needs it to puff his own ego but because he is a generous enough soul that he sees Adonis can’t succeed without him. Rocky has health problems in this latest entry, and probably the most touching aspect is how Adonis motivates Rocky to take care of himself better. Adonis is given a love interest in a singer and composer Bianca (Tessa Thompson) with a hearing problem. It’s amazing how much is done with so little screen time between the two. But this inevitably is a boxing movie, with the cool training sequences, the homage to the earlier movies such as Adonis running through the same neighborhood as Rocky in the past, the eruptive press conference with egos clashing, the setbacks of self-hatred and self-doubting, the break-ups and reconciliations between characters, the surprise gift of boxing trunks by a loved which connotes family support, and then the big fight – which repeats the down two-rounds, up one formula from the previous six movies. It’s an inspirational reunion for fans of Rocky. On occasion it approaches fine artistry, and if excellent writing is in the details then this is top-notch (overlooking its need to reprise formulas). 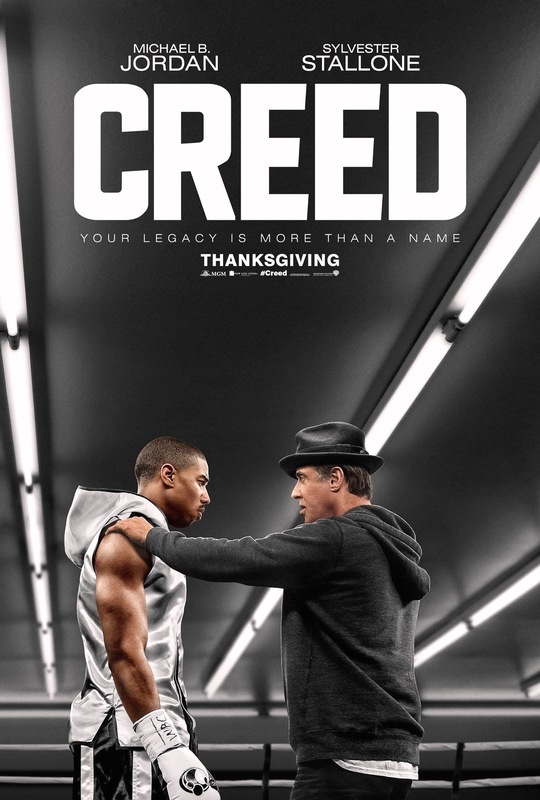 I don’t know if I need more Creed movies, not unless we can get further acquainted with Rocky Balboa in further old age. But we definitely need to see more Ryan Coogler movies. Hopefully something from him that is completely original. Film Cousins: “Rocky” (1976); “Rocky II” (1979); “Rocky IV” (1985); “Rocky Balboa” (2006).